Achieve is known for its body of research on millennials and their relationship to causes and social issues. We publish the Millennial Impact Report every year and release it at MCON, our annual conference on social movements and grassroots cause campaigns. Undoubtedly, that’s where the confusion comes in. For many, the M in MCON stands for millennials. True, past conferences focused on this generation’s cause engagement. But word quickly spread that MCON had much more to offer – who were the change makers launching meaningful movements for social good, how they were doing it and what made them successful – and we wanted others to come hear how they could apply their techniques to their own causes. That’s why the M in MCON represents movements, millennials and makers. Though by their sheer numbers millennials are influencing how society addresses the needs of the underserved and disenfranchised, movement leaders and change makers from across generations and industries are using creativity, collaboration and data-driven decisions to raise public support for causes like never before. 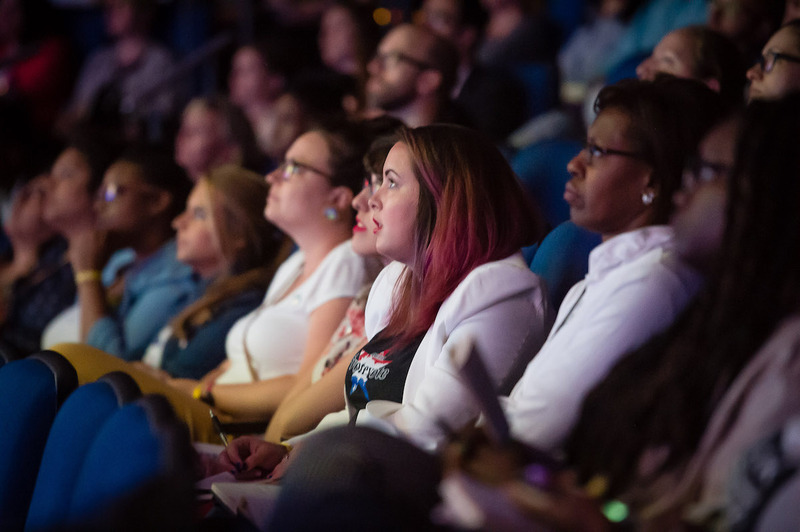 We bring these trailblazers together for you at MCON. Our goal is to inspire generous, passionate, empathetic, energetic people like you by sharing the many ways individuals and organizations are changing cultures, finding resources and establishing new relationships that lead to lasting movements and, ultimately, authentic and lasting change. MCON examines how we can adapt our efforts to be a democracy with social good at its core – how we can ensure that anyone with passion and drive can do more than pay lip service to improving the world. MCON creates a platform on which educators, innovators, CEOs, entrepreneurs, women with on-the-ground insight and men determined to eradicate ills can share and learn how to turn their vision into something real. If you haven’t been to MCON yet or for a few years, plan to be part of the next one.